Event has left me not trusting it completely. I will switch to pump that apex can shut down. I love this thing. It allowed me to use my Tunze ATO system along with an RODI installed in the room behind my tank. I just run the blue line through the wall and it's all set. I never have to carry RODI water again! Pro tip: I have a reservoir above my sump that has a mechanical float valve. It simply gravity feeds into the sump as the water level drops. Therefore, the RODI and Tunze just refill this reservoir. So, I programmed my Apex to only power the ATO for 60 minutes, 1 time per day. This lets it keep the reservoir full, but doesn't cause the creep in my RODI system that you get when it does short cycles. I was in the process of setting up my new valve when a plastic fitting broke off from the brass value. Very disappointed, because now I'm working on returning the until to the manufacturer instead of working on my reef project. The way the valve is built inspires confidence! I just connected it last night and already am very happy...no leaks and no mess. Long cable with soldered ends is a big help too. 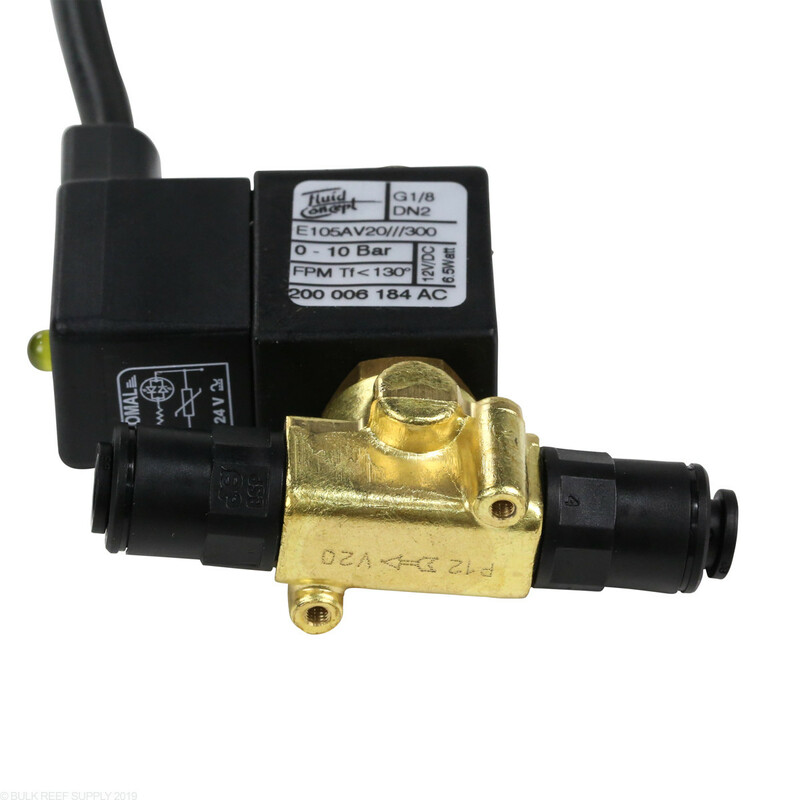 Will the Tunze water valve work with the Tunze Osmolator Nano 3152? Unfortunately the Osmolator accessories (switch socket, water valve, etc) are only made to work with the Osmolator 3155. 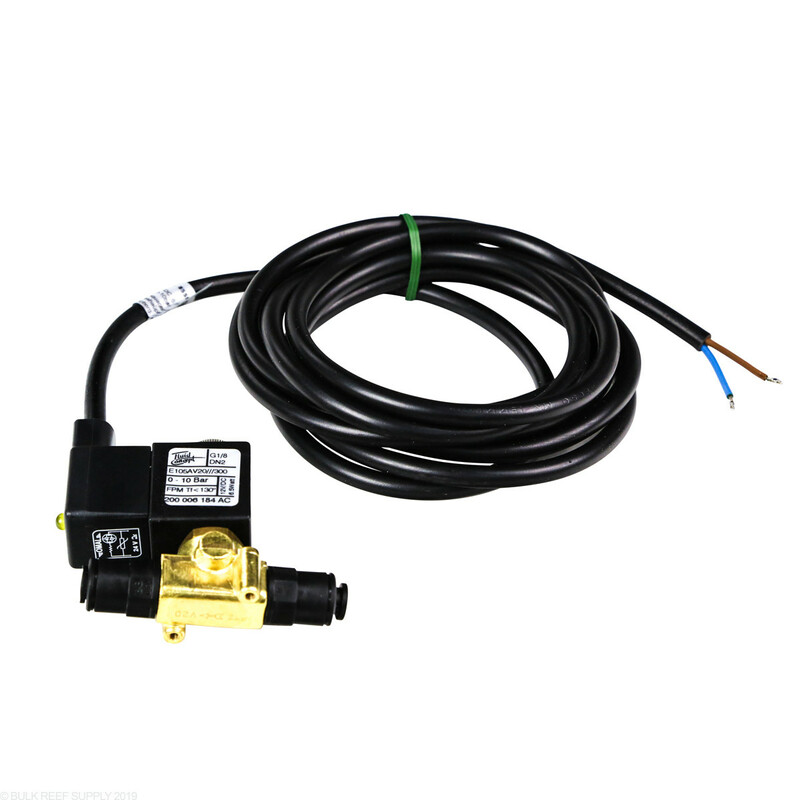 Can I order an Osmolator with this solenoid, or do I have to order the Osmolator with the pump and then pay separately for this solenoid? Great question! Unfortunately, they are not sold as a combo unit and you would have to purchase both products. Thanks! Is it possible to run two of these off the same Osmolator? 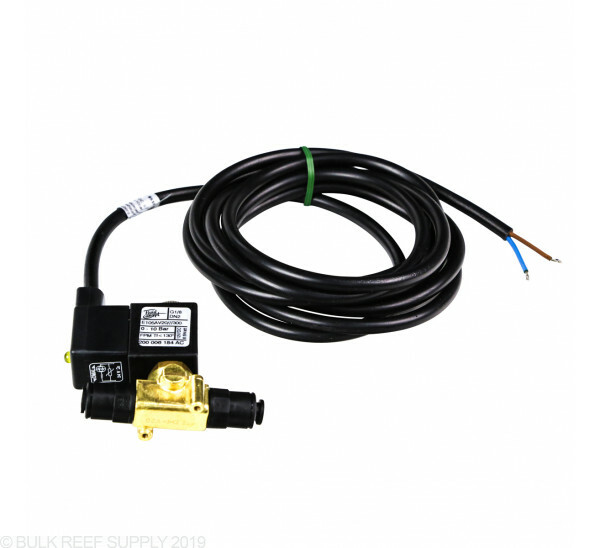 My thought here is that my sump is going to cost me around $900 and I'm quite worried about drilling a hole in it for a float valve as a secondary shutoff. But if I could run two of these... even if one failed in the on position the second should run properly and stop flow. Is this a sound plan? These will not be able to run 2 on 1 osmolator. the voltage would vary for each causing them to not function. individual controller will be required for each water valve. Feel free to let us know if you have any further questions! This solenoid is connected directly to the Tunze Osmolator controller and does not have a rating on what voltage would work. Feel free to let us know if you have any further questions! When the power fails, does this valve close? This is a normally closed valve, so unless it is being powered then the valve is closed.